Resumes program execution until the specific line is reached. This is a convenient way to suspend execution at a line without setting a breakpoint. 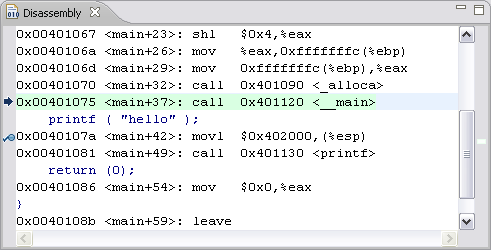 Resume At Line Resume program execution from the line selected in the Disassembly view.